A Must-Read Article for Anyone Thinking of Investing in a Franchise. When I was in my late twenty’s, I had a horrible experience buying into a popular franchise concept. Feel free to read what happened to me. I am a lover of all things business and have been self-employed most of my adult life. After my sour franchise experience, I have investigated hundreds of franchises trying to find just the right thing. At this point I consider myself a franchise investigation pro. 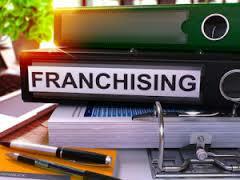 Truthfully, as I do my research, what I find over and over again is most franchisees are not actually making money. Some don’t even seem to know it. Either that or they just have too much invested (time and money) so denial is their only savior. Back when I opened my Cold Stone franchise, I had no idea what I was doing. I didn’t know how to vet a franchise or even that I should. I did a little due diligence but I was going through the motions because I didn’t know what I was looking for. I saw the pretty, shiny thing (Cold Stone) and wanted in. Enough said! When existing franchisees tried to warn me, I didn’t listen. You will start by making contact with the franchisor most likely via their website. 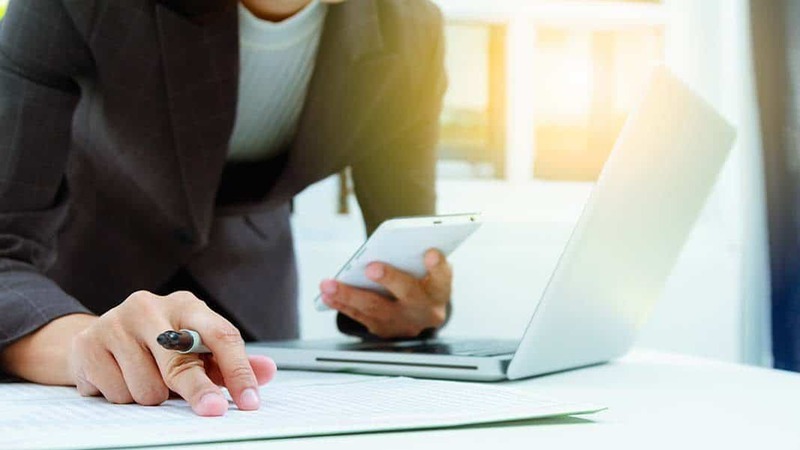 They will have some sort of application process whereby you submit a form or talk to a representative to ensure you can afford to invest – before either of you wastes much time. Once the franchise qualifies you, with capital and experience, they should present the opportunity to you. You can ask questions about locations, build costs, square footage requirements, required capital, loans, royalty percentages, territory protection and so on. Once both parties agree there is mutual interest, the franchisor is obligated to send you a FDD (Franchise Disclosure Document). Chances are it will be enormous and designed to terrify, overwhelm and confuse you. The pages where it tells you how much it costs to build out the location and/or start the franchise business in its entirety. Find the franchise fee is. This is usually a one-time payment the franchisor charges you for the privilege to operate your business using their logos, recipes, formulas, methods, software, etc. This fee can be hefty and I’ve seen them as high as $65,000 so be aware. Find out the ongoing royalties. There are usually franchise royalties and marketing royalties that are each a percentage of gross sales but some concepts offer flat fees. Find a list of all existing franchisees (This is the super critical stuff and is usually tucked at the back of the FDD somewhere. It tells you ALL existing franchisee’s in the system and you are going to want to talk to as many of them as possible. Look for a list of franchisees who have left the system. This is critical information as these people are free and clear of the franchise and so can talk to you openly. *NOTE: I am not telling you not to read the entire FDD. In fact, should you decide to move forward, I would insist you AND your attorney read every page. What Does the Franchisor Want? Keep in mind, the franchisor wants to sell you a business. They are sales people and quite good at what they do. 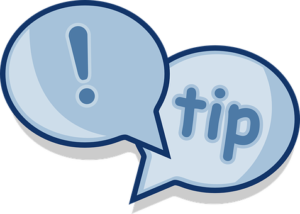 Listen to what they have to say then get your lists of present and past franchisee’s out and call as many as possible. I recommend speaking to no less than 10 and I’d prefer you speak to 20. Set aside time, call people and be organized. Make a question’s list ahead of time, make 2 dozen copies, one for each franchisee you call. Write their name, location(s), phone number and notes at the top so you can remember who they are and what was said. I usually learned a minimum of one great tip from every person I spoke to so every call you make is worth your time. Be forewarned, an area development broker or territory broker is not an ordinary franchisee. 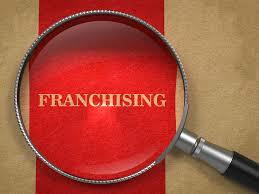 Their names will be on the existing franchisee list so be sure you check who those people are. Area brokers are franchisees who purchase a large territory from the franchisor to help sell franchises. In essence, they get paid should you buy in the territory they have purchased. This was not disclosed to me when I purchased my franchise and of course the area brokers I spoke with raved about the concept. Just make sure, if you call area brokers, you know they have a vested interest in your buying a franchise. Development brokers can provide a wealth of knowledge on operation questions. Just don’t consider calls to them, as a part of your due diligence, legitimate for our purposes here. Do you find the home office to be honest people? Are the people in the home office pretty sincere? If you have a problem does the home office help you? Is there anyone in the home office I should stay away from? Where are your stores located or what is your territory? How many locations or territories do you have? Are you planning to open more locations or territories? (If they are it could mean good things or bad). Good if they did not buy a multi-franchise contract as that means they WANT to open more. Bad if they signed up and paid for a multi-store contract and HAVE to open more stores whether or not they want to. To find out, just ask them. How did you find out about the business opportunity? (Let them talk and share their story). Have was the deciding factor in you deciding to invest? (This can be critical information so pay attention to what they say). 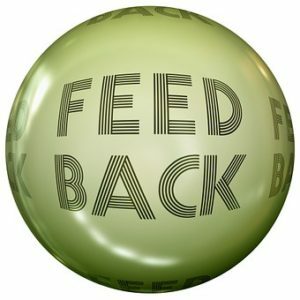 Have you found the franchise to be honest and helpful when you needed it? (If the franchise is not honest, do you really want to work with them)? When you have a problem does the franchise actively help find a solution? (In my experience, they did not. I am a “do it now” kind of person. When something breaks, I want it taken care of same day or ASAP. Solutions from a franchise that need to be committee approved over a 6-month period might not jive with your work ethic). Did the training program prepare you to run the business? What is the hardest part about the business? (This is a good one. If the business is painful they usually tell you now). If you had a do-over, would you invest in this franchise? If they say no make sure you find out why. The franchise told me it would cost $95,000 to open the business. Is that correct? If it cost a lot more, they will tell you. Remember, a dishonest franchisor is something to be very wary of. Does the franchise protect your territory? This is critical. If they are growing and selling to everyone (think Subway) this is something you need to know. Are the other franchisee’s happy or dissatisfied? In a franchise, you really get to know the others in the club. This question is great because it gives you a lot of info of how others are doing without speaking to every one of them. (If they do mention someone in particular with a gripe, it would behoove you to give that person a call). How many hours a week are you putting in and are you able to travel? If they work 60+ hour week because they have to, is that really something you want to do? Can I ask you how long it really took you to profitable? I have looked at a million business concepts and most times I find out they are not profitable. Can you tell me if I can make money in this business? (start asking about money now). I have run the numbers and from what I understand, I am planning on year 1 gross sales of $500,000 with 20% to the bottom line. Does that seem accurate? Always close the call by thanking them and asking if there was anything critical you should have asked but didn’t. That gives them a chance to tell you things that might be going on that you would not know to ask. Many times they will invite you to call them again should you have more questions. Definitely call them should you need to. A franchise is a funny thing. Once you buy in, you are invested. For many people, they put their life savings and more into it and they need it to be successful. Therefore, they are not going to easily tell you bad things about the business. After all, they are trying to run theirs and maybe hope to sell it one day soon. Also, when you buy a franchise, sometimes you get into bed with some powerful (and evil in my case) franchisors and you don’t want to make them mad. For example, at first, my husband and I were careful about what we said to potential franchisees who called us. We were exhausted and growing angry but we had so much invested we had to stay the course. Eventually, however, we saw countless good people come into the system upbeat and happy. Within a year they were stressed beyond belief, had gained weight, looked unkempt, had gone gray and were filled with regret. Our consciences weighed in and we began to gently tell inquiries the stores were very hard work for very little pay. When word got back to Cold Stone they terrorized us about it. It was an ordeal that all these years later, I am still not quite over. I tell you this so you will know a franchisee is in a precarious position. When you call them, at first they might be standoffish and un-trusting. They more they warm up to you and learn you are not a franchise shill, the more they will open up to you. I’ve had more than one franchisee, in my investigative work, say to me, “just between you and me,” or, “don’t ever repeat this but.” Usually this happens in the last 5 minutes of the conversation because they want to tell you but they have to trust you first. All of which leads to the next step, calling former franchisee’s too. They have sold out of the franchise, or closed, and they no longer have any reason to be shy. Former franchisees are not as easy to get a hold of as existing franchisee’s so you might have to work a bit harder and call more of them to get a call back. I’d call every single one on the list if it were me. 1. Why did you leave the franchise? 2. Did you make good money? 3. Was the franchise honest with you? 4. If I was your family member, would you advise me to invest in the franchise? If you do that, you should have more than enough information about the franchise to make an educated decision. If you don’t feel you do, call more people. Don’t stop calling until you feel certain you can make a living running that business AND that it fits your anticipated life style! Am I saying that all franchises are bad? No, of course not. My only point is that if you want to open one, you need to do your due diligence first. It is very important you know how to properly vet a franchise so you can make sure if it’s the business is right for you. I do want to leave you with this…whatever your dreams are, start living them today. If you wait until you are 100% ready, you may never get started because we are never 100% ready. Sometimes you just have to jump in and figure things out. I hope this article helps you and please share it if you think it can help someone else you know.